Cleveland Park was named for Grover Cleveland who bought a country house on now Newark Street in 1886. In the 1890s, electrified streetcars ran on Connecticut and Wisconsin Avenues and led to the development of the Cleveland Park "suburb". 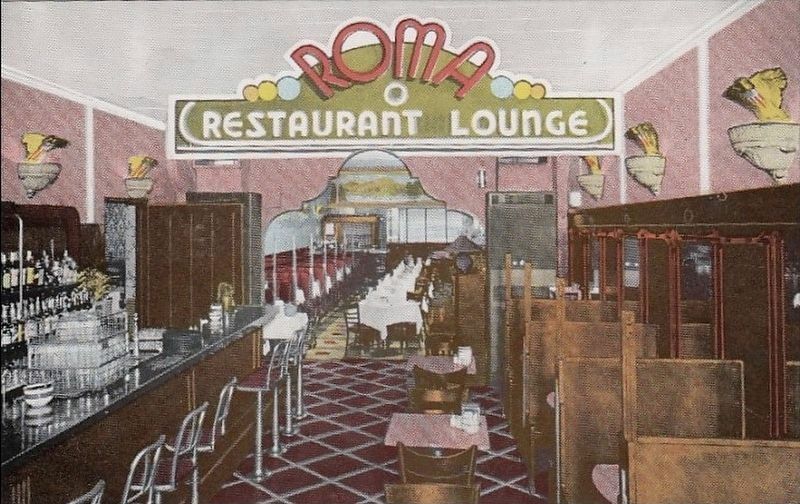 Shops and restaurants followed the development, with the Roma Restaurant and its Italian Garden at 3419 Connecticut Avenue remaining popular from the 1930s until it closed in 1997. Location. 38° 56.018′ N, 77° 3.433′ W. Marker is in Cleveland Park, District of Columbia, in Washington. Marker is at the intersection of Connecticut Avenue Northwest and Macomb Street Northwest, on the right when traveling north on Connecticut Avenue Northwest. Touch for map. 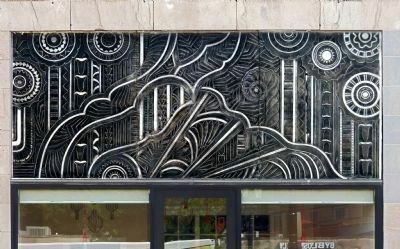 Marker is in an old police call-box on the corner in front of Imaj Hair Salon, across from the Cleveland Park Library. 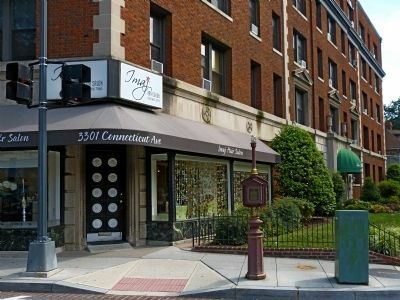 Marker is at or near this postal address: 3301 Connecticut Avenue Northwest, Washington DC 20008, United States of America. Touch for directions. Other nearby markers. At least 8 other markers are within walking distance of this marker. Queen Anne Style (about 700 feet away, measured in a direct line); Commerce (approx. 0.2 miles away); Causeway at Tregaron (approx. 0.2 miles away); Klingle Valley Trail (approx. 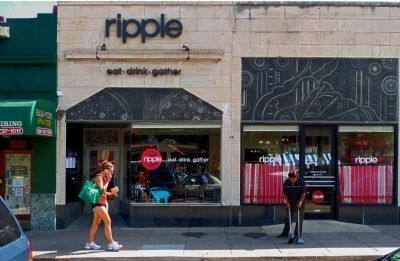 ¼ mile away); 3524 Connecticut Avenue, N.W. (approx. ¼ mile away); Tregaron Conservancy (approx. ¼ mile away); Mihran Mesrobian (approx. ¼ mile away); Black and Gray Squirrels (was approx. 0.3 miles away but has been reported permanently removed. ). 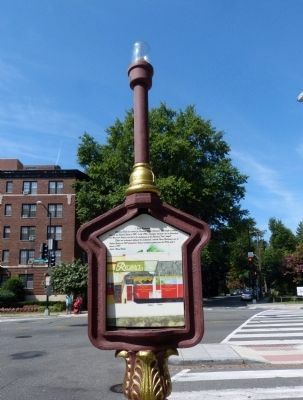 Touch for a list and map of all markers in Cleveland Park. 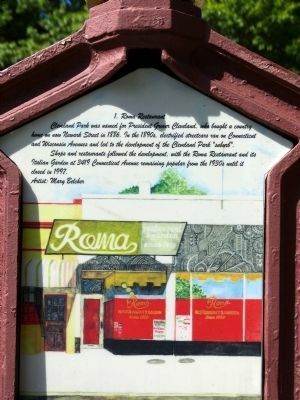 As one who grew up in the DC area, The Roma was one of many area restaurants that we took our Prom Dates, or Valentine Dates to dinner, and Christmas Dance dates.THE place for Italian food. — Submitted August 26, 2013, by Mike Stroud of Bluffton, South Carolina. I worked at the Safeway between Ordway and Porter streets in the early '60s. The Roma was my favorite place in the area for lunch. 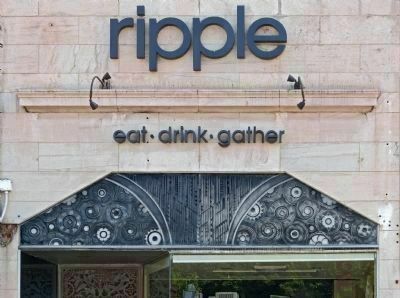 I wonder what happened to all the stuffed animal heads that decorated the restaurant? — Submitted July 12, 2015, by John Strother Anderson of Spartanburg, South Carolina. 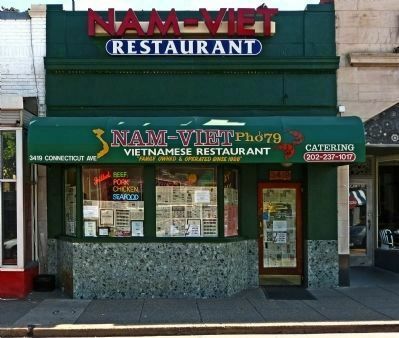 3419 Connecticut is Nam Viet, today, but the painting on the marker clearly shows that Roma spanned both 3419 and 3417 Connecticut. More. 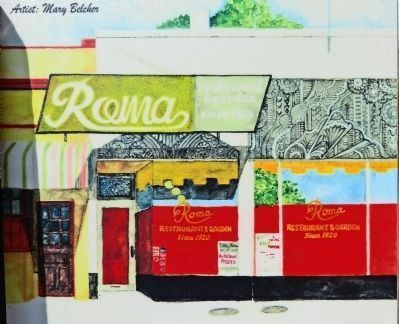 Search the internet for Roma Restaurant. Credits. This page was last revised on March 17, 2019. This page originally submitted on August 18, 2013, by Allen C. Browne of Silver Spring, Maryland. This page has been viewed 660 times since then and 19 times this year. Last updated on January 9, 2018, by Devry Becker Jones of Washington, District of Columbia. Photos: 1, 2, 3, 4, 5, 6, 7, 8. submitted on August 18, 2013, by Allen C. Browne of Silver Spring, Maryland. 9. submitted on December 20, 2017. • Bill Pfingsten was the editor who published this page.